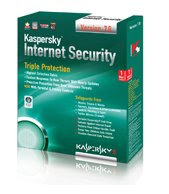 Kaspersky Internet Security ( KIS ) 2009 already released to public for download but this software is a shareware and needed product keys.Yesterday came across Techrends blog that have a post showing you how to get a free KIS 2009 product key for six months.Now i would like to show you how to get KIS 2009 product key for one year. Actually this promotion is special offer for Barclays Bank online banking customers.Although you are not a Barclays bank account holder,you still can get this offer. 1.Log on to the Barclays bank online banking website and double click on ‘Kaspersky barclays offer page’ ( blue color ). 2.Enter in your first and last name,email address and online banking membership number.In online banking membership number column just key in 2010 follow by any 8 digit number such as 201034345656 and click next. 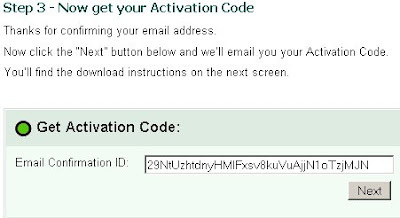 3.Then check your email and click for the conformation link that sending by Kaspersky Lab.You will be asking to click ‘ Next’ again to get the activation code. 4.Then you can prepare to download the KIS 2009 program.If you don’t want to follow this ,you can download from here .At the same time,the activation code will sending to your email address. 5.After installation,select active online to key in activation code that receiving in the email,then your KIS 2009 can use for one year with free . This activation code also can use for KIS 7.0 and activate 3 computers.That means you can share your KIS product key with others ( maximum two persons). Barclays already notice this leak and close it. so may i knw still got othey way to get the product key.. cos my old version karpe is nearly reach the date..